Prepare yourself for Wade Wilson's superhero persona! Then, prepare your stomach for some sushi! 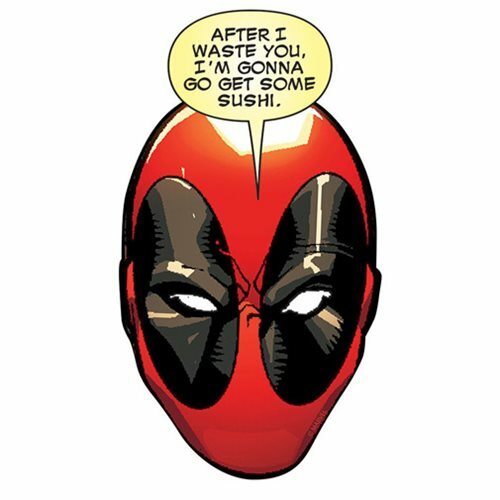 This Deadpool Head Sushi Funky Chunky Magnet from Marvel isn't your run-of-the-mill magnet. It's wooden, it's laser die cut, and it's chunky! Measures approximately 4-inches tall x 2-inches wide. Ages 13 and up.